‘Brake,’ a Road Safety charity has welcomed the new GPS on Land Transport released by the Government today, particularly the inclusion of safety as a top priority. The number of deaths and serious injuries on our roads is horrific and still increasing. We need to make significant changes to our transport system to reverse this trend. We applaud the inclusion of safety as a top priority in the GPS, and the long-term vision of a transport system free of death and serious injury. We need a transport system that is designed for people, and prioritises their safety. We are pleased to see ‘Vision Zero’ included in the policy statement as a possible approach to road safety for New Zealand. The Charity also supports the increase in investment in walking, cycling and public transport that is included in the GPS. Walking and cycling have significant benefits for our health and the environment. Efficient, affordable and accessible public transport systems help encourage people to choose this mode of transport, and relieve congestion. More investment in sustainable and active travel will help to make these modes of transport more accessible and improve safety for people on foot and bike. However, Brake also notes that now the focus has to shift to implementing proven measures for reducing road deaths and serious injuries, and swift action is needed to improve road safety. We now need work to begin quickly on the next road safety strategy and action plan, to outline targets and activities for making our roads safer. People continue to be killed and seriously injured on our roads every day, and we need to see proven measures being implemented now to improve safety, such as installing more median barriers and ensuring our roads have safe speed limits. Road crashes have devastating consequences for families and cost our economy and society billions of dollars each year. We must reduce the number of people being killed and suffering life-changing injuries on our roads. Brake is an international Road Safety Charity. Its New Zealand Division promotes road safety and campaigns against the carnage on New Zealand roads. It is also fundraising to improve support for families bereaved and injured in road crashes. To support Brake, please www.brake.org.nz. Caroline Perry is Director of Brake New Zealand. 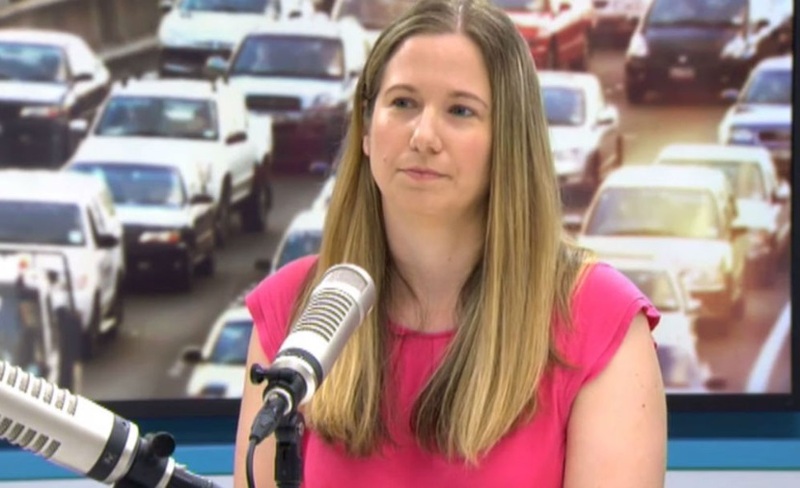 Caroline Perry is seen here speaking to Duncan Garner on the Am Show. Picture Courtesy: Newshub.